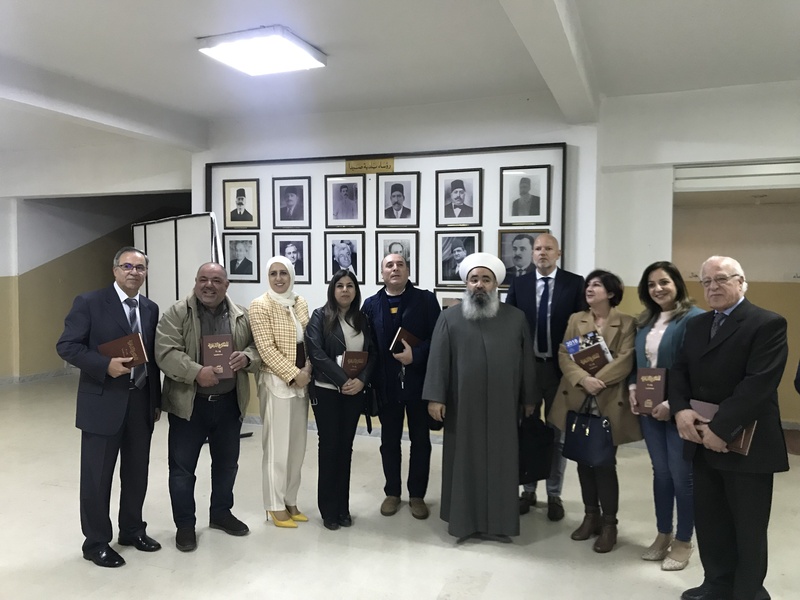 Under the patronage of HE Mufti Salim Sussan of Saida, the municipal-led Local Prevention Network (LPN) of Saida, Lebanon, launched its theological workbook, in the presence of local partners, religious leaders, state officials and community members. 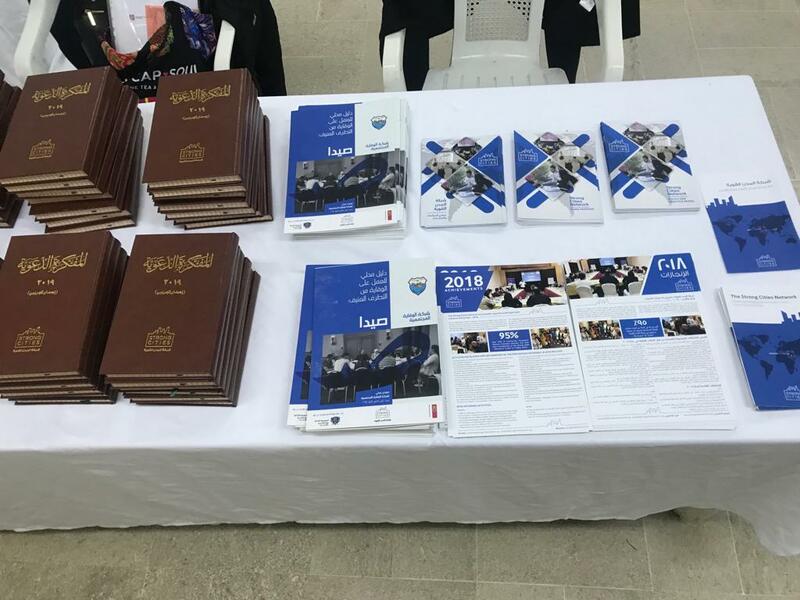 The workbook is a corpus of suggested religious texts to be used by imams and school teachers in religious classes and sermons to prevent violent extremism (PVE) through the promotion of social cohesion and tolerance. Physical copies of the workbook will be distributed to imams and religious teachers across Lebanese cities. During its strategic planning workshop (2018), the Saida LPN identified religious teaching as one of the most effective channels for spreading positive messaging and preventing youth from falling victim to extremist narratives. 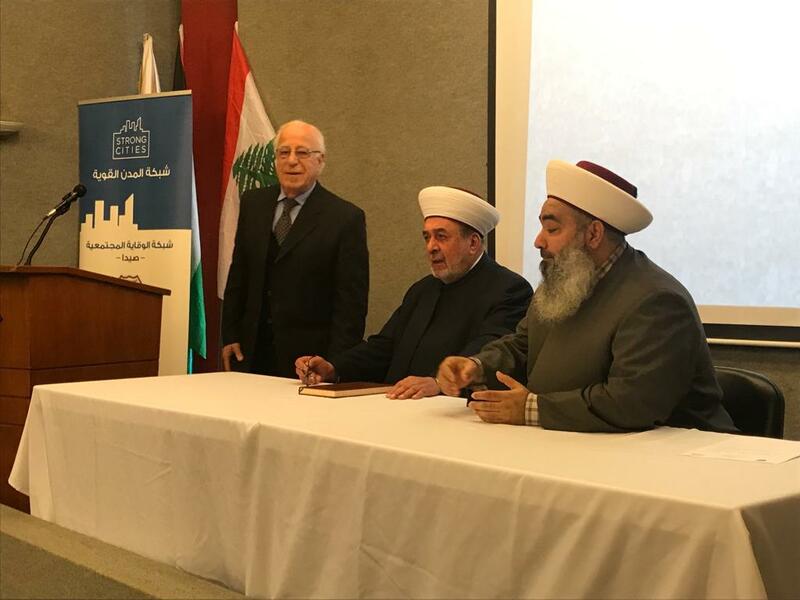 Sheikh Mohamad Abou-Zeid, President of the Sunni Sharia Court of Saida and active member of the Saida LPN established by the Strong Cities Network (SCN), led the development process. 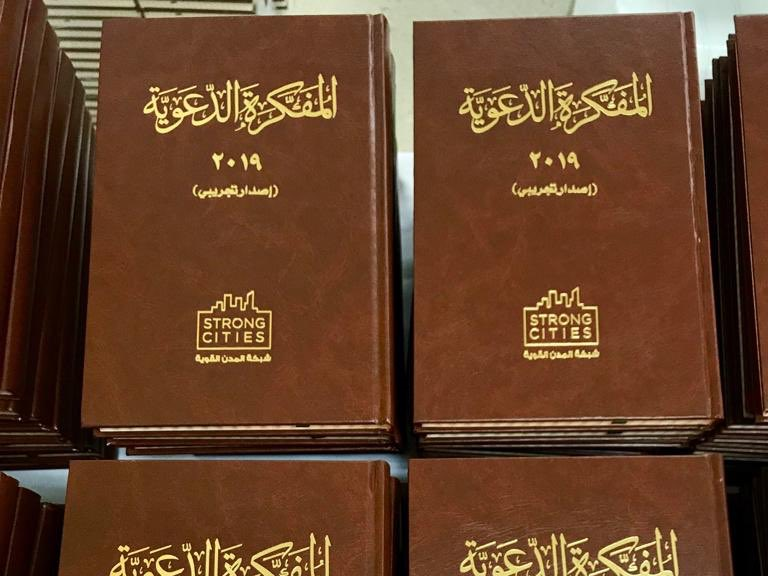 The cooperative approach used for the development of the workbook ensured wide support of its aims among imams. 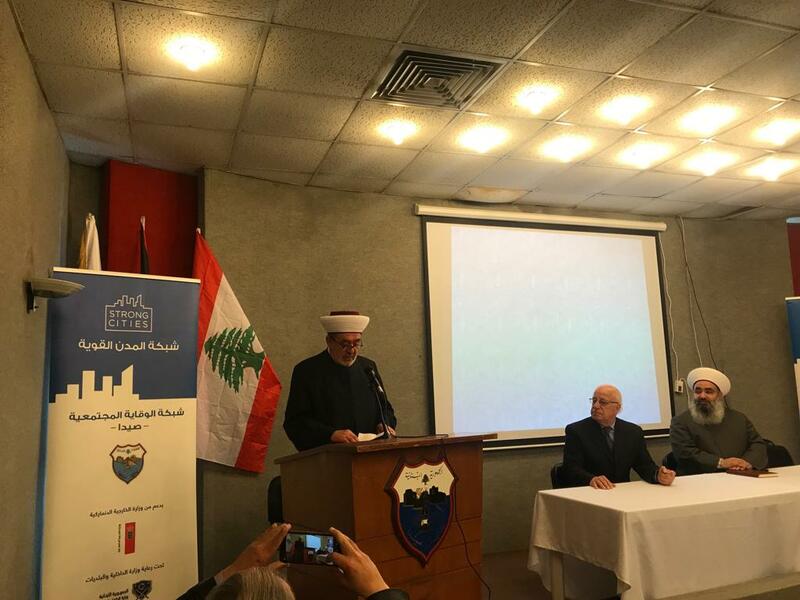 Several workshops were held across Lebanon, in coordination with imams who are active members of SCN LPNs in Tripoli and Majdal Anjar. 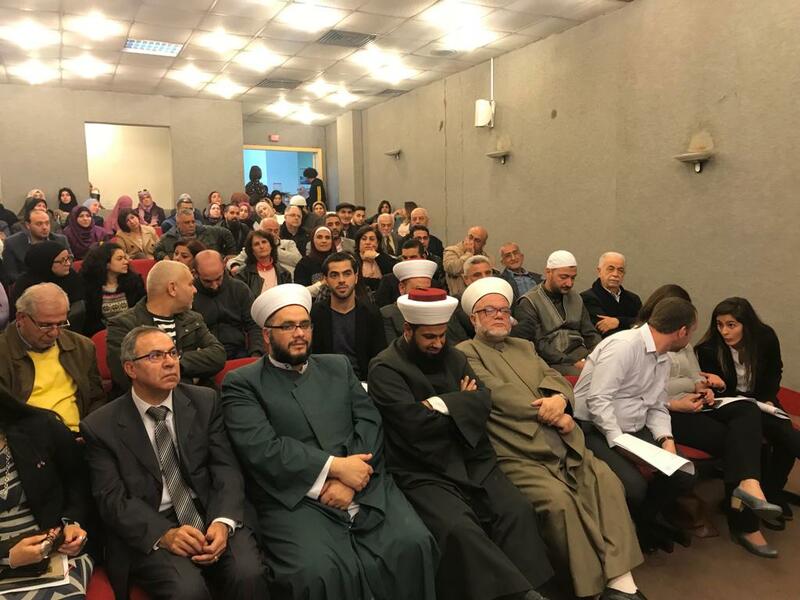 These imams utilised their local networks to bring together over 50 religious leaders from different cities, backgrounds and schools of thought, with extensive expertise in education, theology, youth engagement, and civil service, among other fields. The participants’ invaluable contributions were incorporated in the final document. LPNs bring together practitioners from different fields to foster cross-sectoral coordination. This activity is one of the outstanding examples of how coordination mechanisms and multiagency approaches can succeed in engaging and using local practitioners’ experience, to produce and provide important resources to local communities and contribute to PVE efforts. 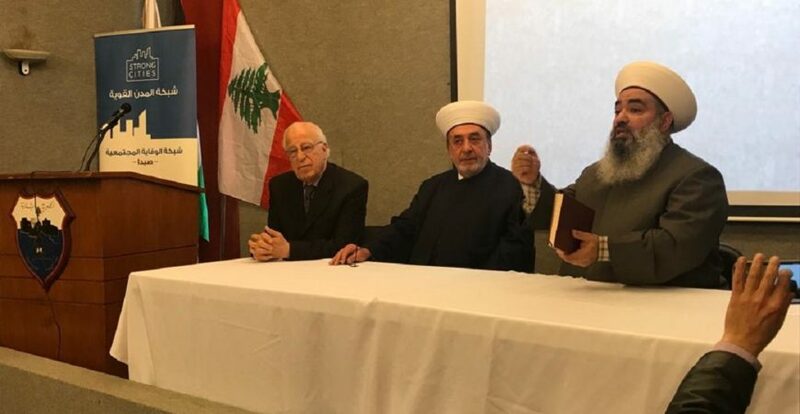 The SCN congratulates the Saida LPN and Sheikh Abou-Zeid for the successful launch of their theological workbook! To know more about our work in the MENA region, visit our SCN MENA webpage. To know more about how to establish a local prevention network, read our policy model in English, French and Arabic.